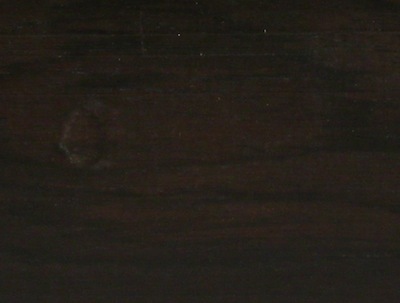 Description: Dark brown / black color with a white sapwood, straight grained with fine oily texture. Very hard and dense (75 lb/ft3). Working properties: Easy to work despite hardness, takes a first class finish. Recommended to pre-drill holes when screwing and nailing. Tungsten carbide recommended due to rapid blunting effect on tools. Produce a great end result when finished and polished.